Not interested in East Grand Forks ? Please choose a different community. What will you learn in the Concealed Carry class? to Carry and Utah Permit to Carry laws. 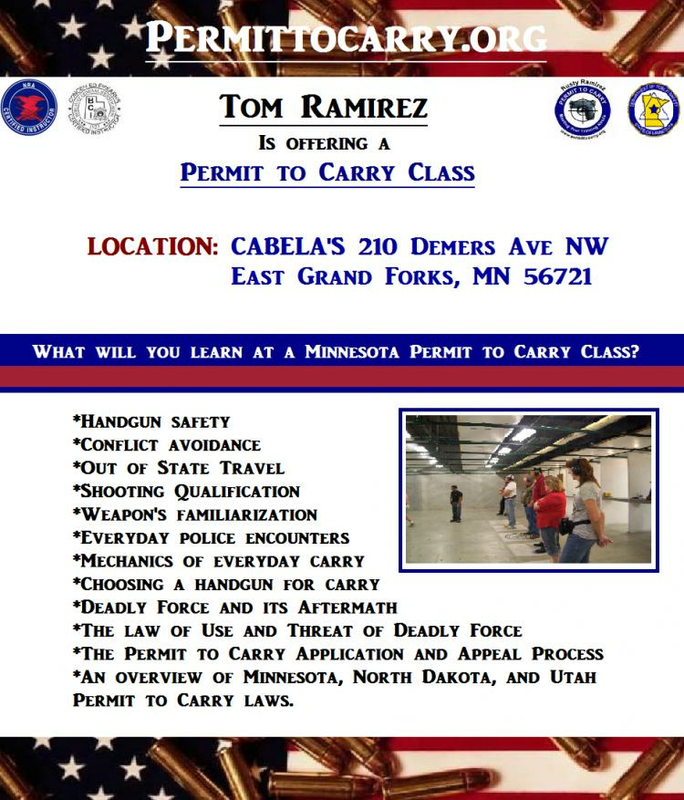 I am the lead instructor for Permittocarry, one of the original and leading concealed carry teaching institutions in MN. We have been instructing permit to carry (concealed carry) classes since 2003. We instruct concealed carry classes in multiple cities around MN, including, but not limited to: Bemidji, Laporte, Park Rapids, Mankato, Rochester, East Grand Forks, and Saint Cloud.